Professional writer and organizer Felice Cohen makes things work living in New York’s smallest apartment that is close to all amenities and only blocks from Central Park. She lives by the philosophy of “Don’t Aquire What You Can’t afford”, which I think is great. People buy and collect too much “crap” these days and it just piles up. Watch the video it’s cool. 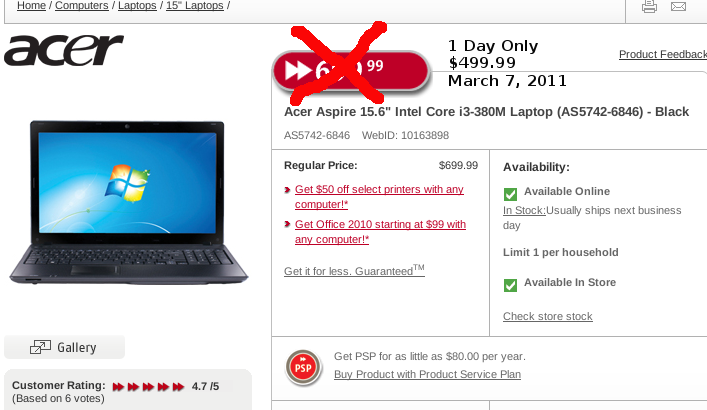 Few days ago, I was browsing the FutureShop.ca and on the front page FutueShop was having this 1 Deal-a-Day Promotion and on March 7th the deal was this spectacular deal on a 15.6 inch Acer Laptop. To be exact it was a Intel Core i3 380M (2.53 Ghz) 15 inch Laptop with 6 GB of RAM and 500 GB of hard drive space for the low price of $499.99. A greater number of Canadians feel that the economy is getting worse than last year. 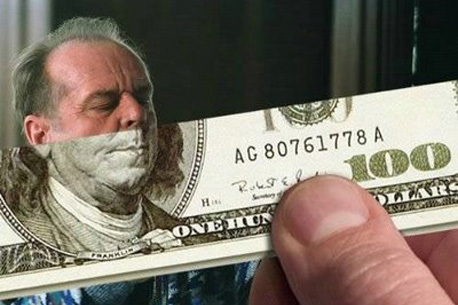 Now 20% up from 14% last year feel this way. Some of the top concerns of Canadians are having enough money to retire, and improving personal finance. 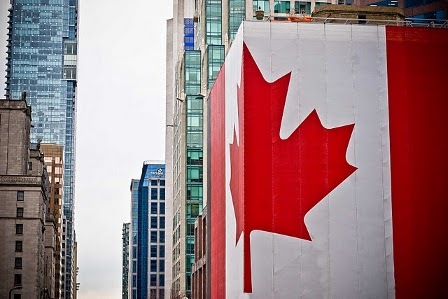 They feel that the Canadian economy maybe getting a little bit better by the government reports but at home things are getting worse, goods are more expensive (inflation), jobs are hard to find and people are still being laid off. So to the average Canadian, their personal finance situation really don’t feel any better. 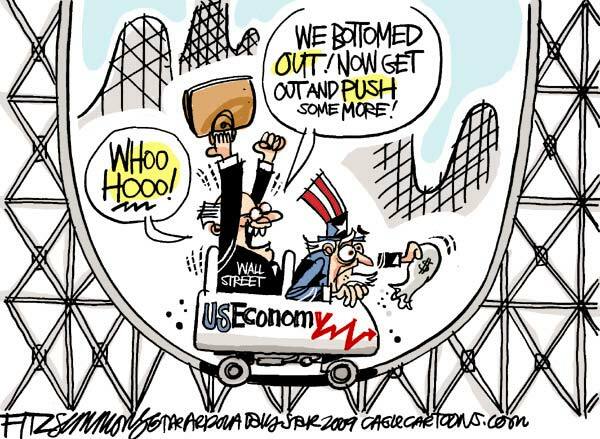 The U.S puts out reports that the recession ended last year sometime, and the Federal Reserve say that they are going to do more “Quantitative Easing” to further stimulate the economy. The stock market responds by sending the Dow Jones Industrial Average well over 11,000. All this in my personal opinion is hog wash, it is just more U.S Government propaganda to make things seem a lot better than they are. If there is anything the credit crisis over the last few years has taught us is that debt is bad, despite what financial companie’s try to tell you. The other thing is that everyone has to really watch their spending. Part of the monitoring of spending is those little things that you buy, like coffee, latte or a bottle of water here and there.If the economy continues the way it has been for another few years, you will most likely be forced to change your habits, especially if you are in heavy debt, you have no savings or if you are in a job that is at risk of layoffs. 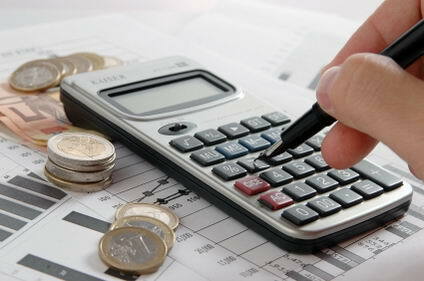 12 Things That You Can Do To Improve Your Finances Now! Begin and look at your net worth by collecting your most recent investment statements and going online to retrieve your current account balances. Does any one financial asset consume a disproportionate share of your net worth? Are your assets properly insured? Interesting how jobs are being loss at record pace which means people do not have money to spend or live, but when you watch certain U.S and Canadian government reports…they try to paint a rosy picture. This news is a few months old but here goes. The last time the Russians offered Apple clones was back in the days of the Soviet Union. 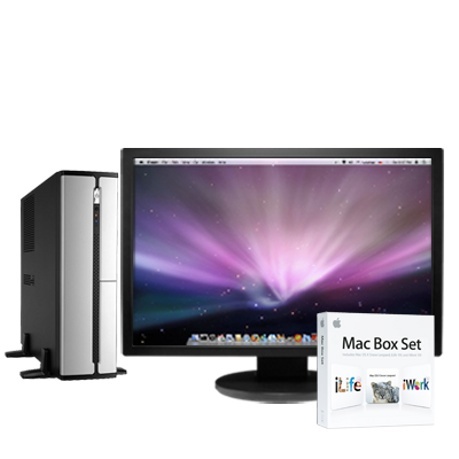 Despite Apple CEO Steve Jobs complaints, RUSSIANS have started churning out cloned Mac PCs. Apple has failed to gain any ground in Russia because the operating system and hardware are just too expensive for everyday Russians to afford. They don’t see the point of not eating for a year just to buy computer, when they have figured out how to clone them for 50% less or more. The economy is in bad shape now and layoffs keep rising, now millions of families must take steps to sort out the household balance sheet by cutting as much expenses as they can. 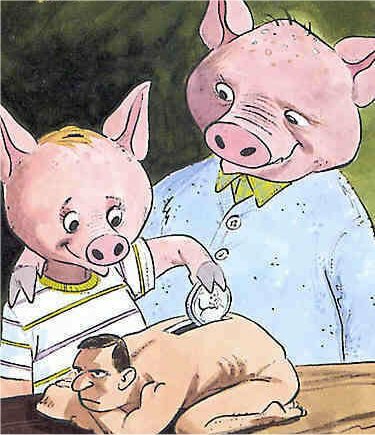 What bugeting does is help you identify what you are spending and where to decide how to cut back. Affluenza – The Need To Buy More and More Material Goods – Do You Suffer From It? 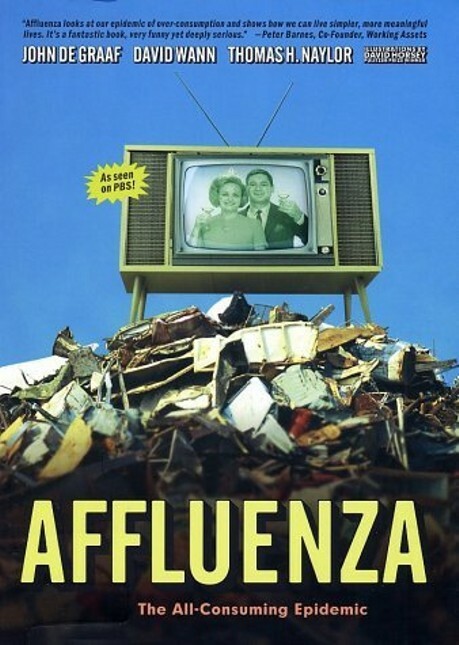 Affluenza, – painful, contagious, socially transmitted condition of overload, debt, anxiety and waste resulting from the dogged pursuit of more. Affluenza – 1. The bloated, sluggish and unfulfilled feeling that results from efforts to keep up with the Joneses. Here are a few tips to hunker down and save like crazy. Consider these extreme money saving tips to cut your grocery bill down to under $7 a day. Take saving money to the next level.